The Small Business Loan Report is a suite of reports extracted from the CRA small business loan data released by the Federal Financial Institutions Examination Committee (FFIEC). Annually, in August, the FFIEC releases data collected and compiled from the small business loan data reported by banks to their federal regulatory agency. GeoDataVision has extracted the data from the FFIEC Community Reinvestment Act database, computed certain key statistics, such as lender market rank, and reorganized the data to make it more useful and user-friendly. 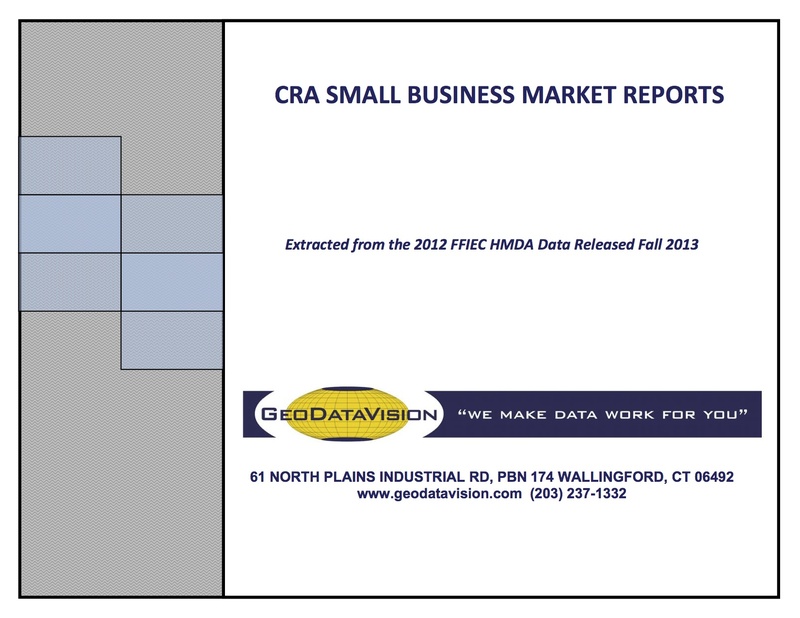 Aside from being much easier to use than the FFIEC CRA data, this Report provides invaluable market data available nowhere else. The suite of reports break out the small business loan data for the entire state and every county and census tract.